When we're by the sea, most of us are too busy feeling our toes in the sand to worry about getting crafty. That's why at Dimond, bringing outstanding natural products to the home is absolutely part of our identity. 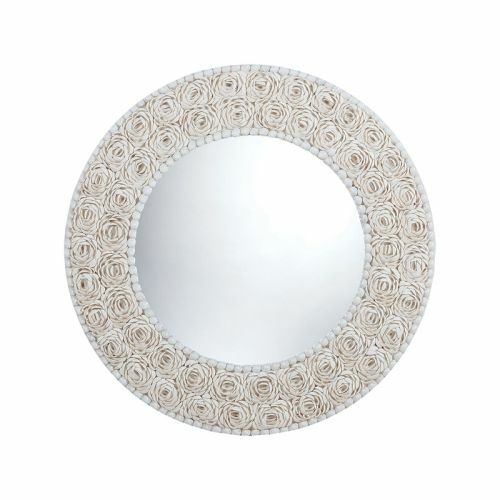 Introducing our Abra Alba Series Floral Pattern Clam Shell Mirror: Pristine white seascockles cleverly hand-arrayed into concentric bands of Nosegay-like bouquets, and framed by delightful nodules of shell; all surrounding a quality mirror. 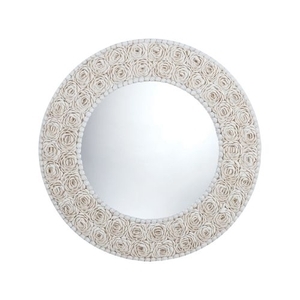 This is your new powder room vanity.